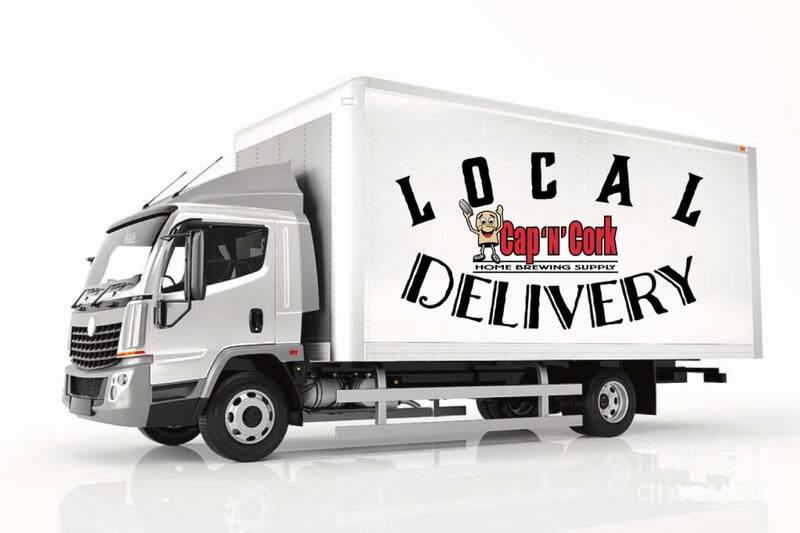 We are excited to announce our new local delivery option where you can order from our website and we will personally deliver all your home brewing needs to your doorstep. We will be accepting orders Monday through Thursday and delivering them every Friday and Sunday. That means orders for the week will need to be placed by 6 PM on Thursday to allow us time enough to prepare all shipments. Local delivery is considered up to 15 miles driving distance from the store. If our route is more than 15 miles, we may cancel your order, so please bear that in mind when selecting this delivery option. Our delivery fee is $5.95 and the there is a minimum $30 order to qualify, but keep an eye out and on our text and email lists as rumor has it there are some wild coupon codes about that may be good for free shipping. Not on our text or email list? Simply text START to 586-217-3576 or sign up here. The Cap N Cork webstore has been updated to include almost all of the items you know and love that exist in the shop. If you see something that we have missed please let us know and we will at it to the site ASAP!! We plan to constantly update and improve the website so all feedback to make your experience the best is greatly appreciated. If placing a grain order please let us know if you want the grain altogether and/or crushed in the notes section when checking out. We will crush the grain on delivery day to ensure freshness. If you need specific weights less than one pound please email us the order and we will accept your credit card over the phone.